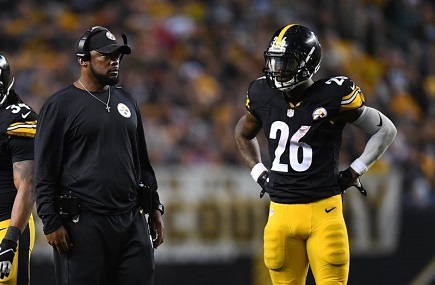 Mike Tomlin Should Call Le'Veon Bell and ask "Want to win a Super Bowl?" This entry was posted in Steelers 2018 Season and tagged Antonio Brown, Ben Roethlisberger, Bill Cowher, Brett Keisel, Cameron Heyward, Duce Staley, Ike Taylor, Isaac Redman, James Conner, James Harrison, Jarvis Jones, Jaylen Samuels, Jerome Bettis, Le'Veon Bell, Maurkice Pouncey, Mike Tomlin, Neil O'Donnell, Pittsburgh Steelers, Ramon Foster, Steelers running game, Stevan Ridley, Willie Parker. Bookmark the permalink.